Victory Windows are Hampshire’s leading installer of Double Glazed Windows, Doors and Conservatories. 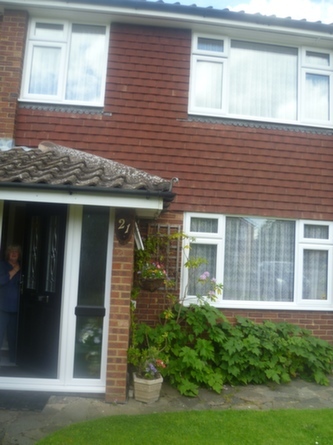 A long established family business, we often find ourselves installing Double Glazing in Hayling Island. Thanks to our low prices, high standard of workmanship and outstanding products, we’ve been a favourite for Double Glazing in Hayling Island for a number of years. Take away the hassle of replacement Double Glazing in Hayling Island by calling Victory Windows on 02392 824006 or 02392 666955 to speak to a member of our friendly team. We offer a straight forward easy solution for Double Glazing in Hayling Island. With Victory Windows you’re guaranteed no pressure sales, the industry’s leading uPVC product. Victory Windows stock A-rated Pilkington K glass as standard, ensuring that your brand new Double Glazing in Hayling Island keeps your home warm and secure whilst our quality uPVC frame is designed to withstand the elements of the British weather as well as withstanding warping and erosion, a problem that can arise more in costal areas. When it comes to Double Glazing in Hayling Island we listen to your needs and requirements. You may have an idea of design in mind for your brand new Double Glazed Windows and Doors in Hayling Island or perhaps you would prefer for an expert to sit down with you and design the Double Glazing you’ve always dreamed of. Either way, we’re confident that we have the perfect solution to suit you and your budget. Elegant and Exquisite, our vast ranges of products and Double Glazing solutions in Hayling Island have never been so affordable. The Double Glazing of your dreams isn’t far away thanks to Victory Windows. Unlike the vast majority of our rival companies and all national firms, Victory Windows are proud to not employ any commission based sales people which ensures that Double Glazing in Hayling Island has now been made easy thanks to Victory Windows. Give us a call today on 02392 824006 or 02392 666955 at any other time or use our contact form to send us a quick message. Don’t delay! Get in contact with Victory Windows today and get the best Double Glazing in Hayling Island at the most competitive prices.